Thank you so much for your prompt service & all the extra attention & information regarding the repairs & cleaning of both our grease trap & septic tank. We look forward to using your services again. Just wanted to drop you a line to say Thank You for the professional job your works carried out while cleaning our very overdue bio system.The guys arrived on time,were very helpful & friendly. Thank you for a job well done. What a great job of cleaning up a big mix of oils, thinners, paints and batteries. The efficient and timely manner that you carried out the task was brilliant & our managers were very happy with the end result. We look forward to a long working relationship with you in the future. 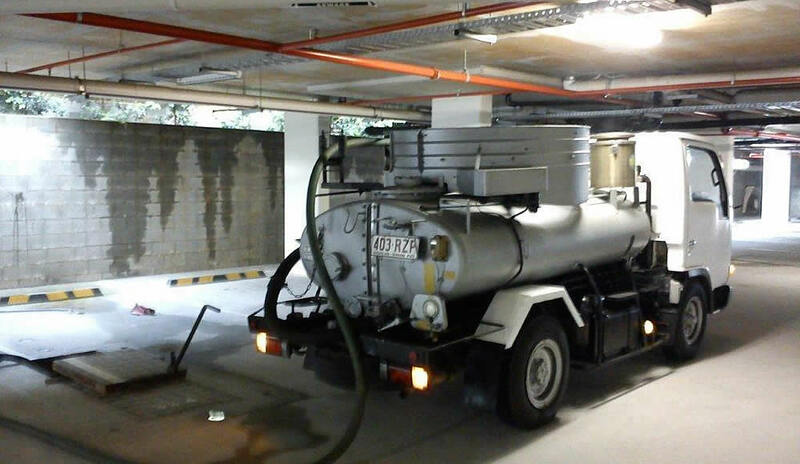 Pump-It Environmental Services now offer a low clearance vacuum truck, perfect for accessing those hard to read locations such as underground carparks, tunnels and narrow alleyways. "When it comes to waste, your requirements are unique - so are our services." "Contact our sister company Skip-It for all of your waste collection and recycling needs."